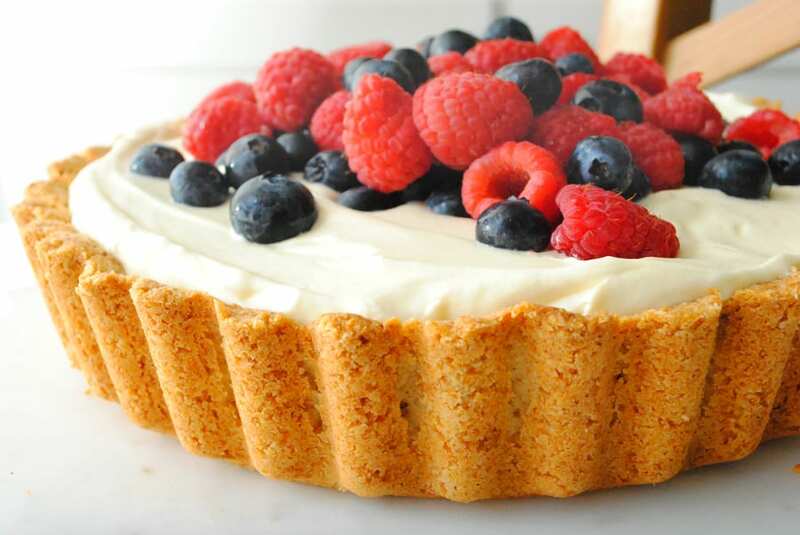 This Lemon Berry Almond Tart will absolutely disappear from sight as soon as you set it down on the table. It is wickedly refreshing on a hot summer day. 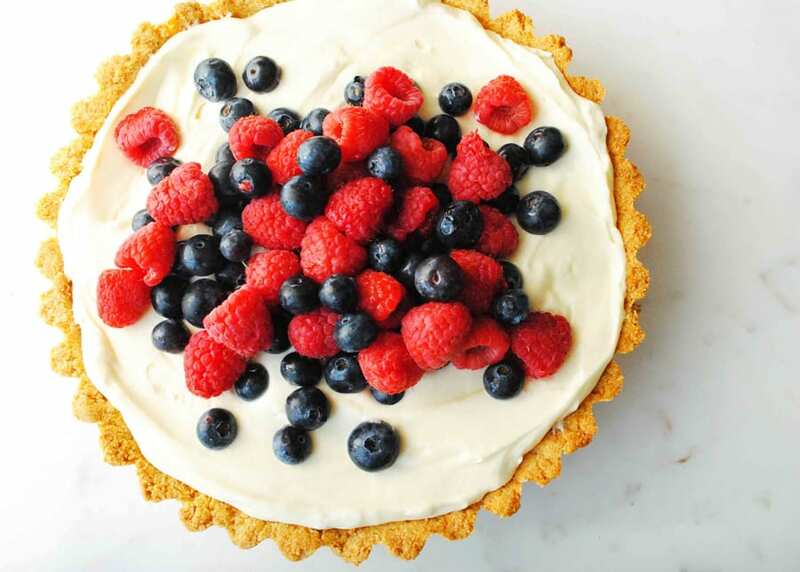 The tart yet sweet lemon whipped cream topped with sweet summer berries and on a nutty almond crust is TO DIE FOR! This is one of the very first desserts I ever made up and it is still one of my proudest. Every time I make it I just cannot get over how DAMN good it is. Now summer is here and you need to make this, I promise it will not disappoint. For this dessert you will need a tart pan. 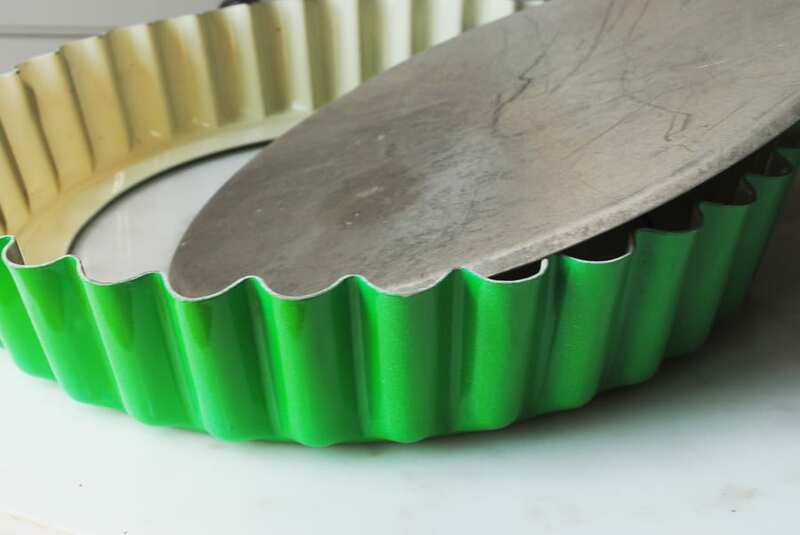 To get the dessert out of the pan you need to have a tart pan with a removable bottom. This pan is one I have used and love. Even though it is non stick I would still give it a good spray with non stick spray before putting my crust in. It’s very easy to make. Just mix together the crust ingredients until they resemble sand, but hold together when pressed. Like this. Then press it into the tart pan. I like to start with the sides and then do the bottom. 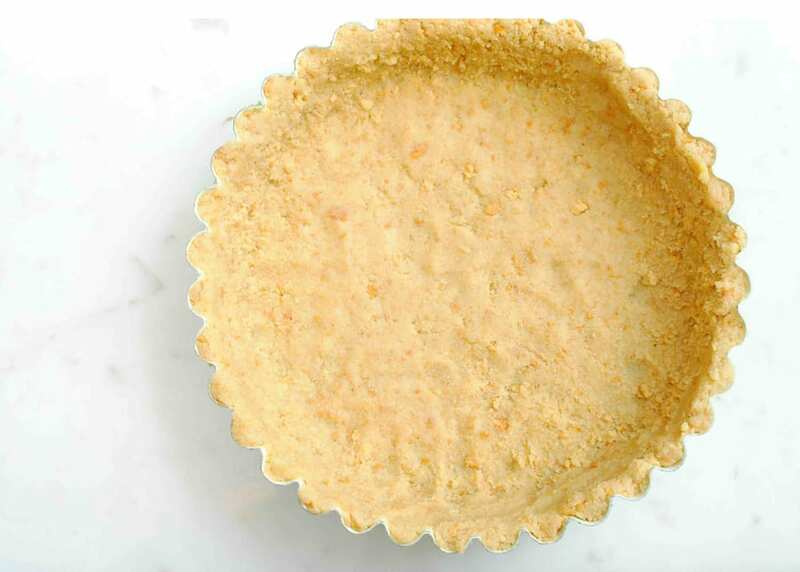 Once the tart crust has cooled. 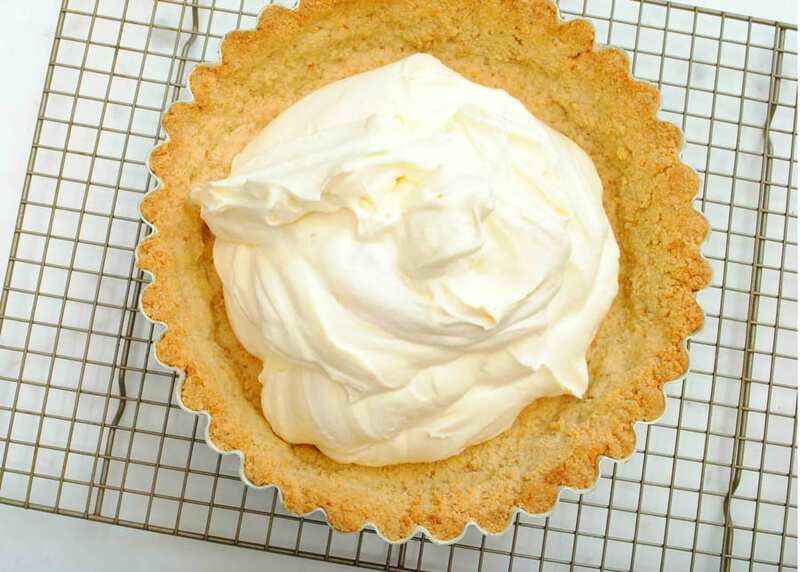 Make that heavy whipping cream into whipped cream and gently fold in the lemon curd. 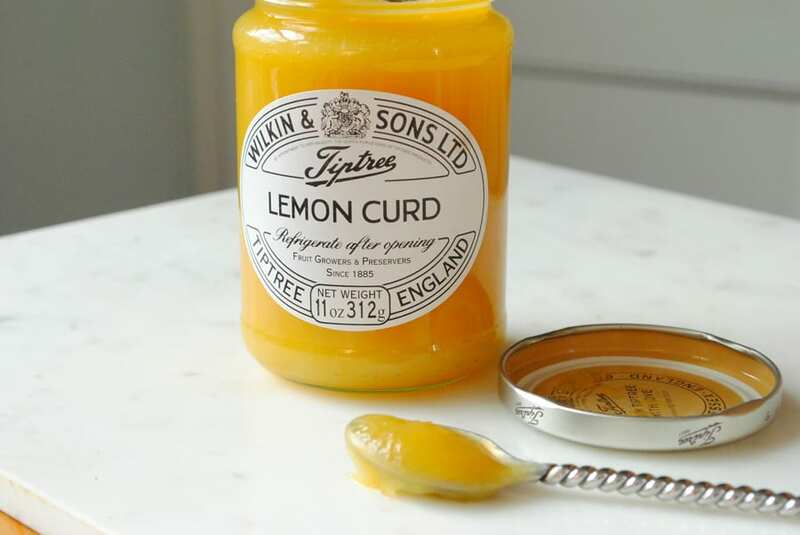 My absolute favorite lemon curd you can buy is pictured here and I get it at Whole Foods. Then just spread it into the crust. Top it with your favorite berries, and possibly some sprigs of mint if you have any laying around and allow it to chill for a bit in the fridge or freezer. Then pop it out of the pan and serve! 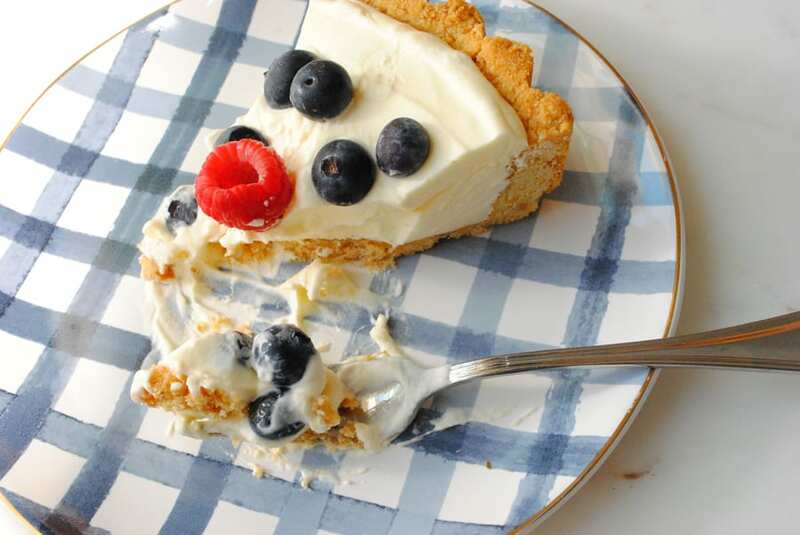 This lemon dessert is so easy and so light. It makes the perfect addition to any summer meal. Melt butter in a medium sized microwave safe bowl. About 1 minute on high. Whisk in salt and brown sugar to break up the lumps. 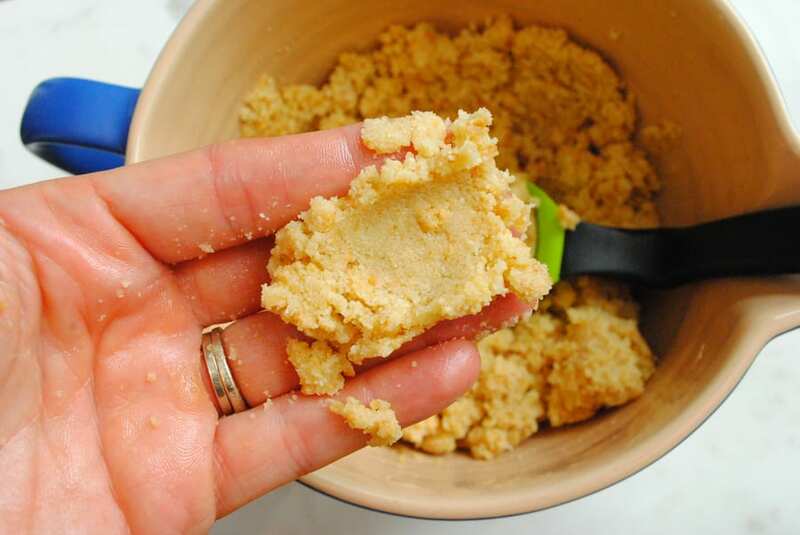 Stir in flour and graham cracker crumbs and stir to combine. Mixture should feel and look like wet sand and clump together when pressed. Pour into a greased tart pan. Press the sides in first and then pat down the bottom. Bake for about 15-20 minutes or until lightly golden. Allow to cool on a wire rack. 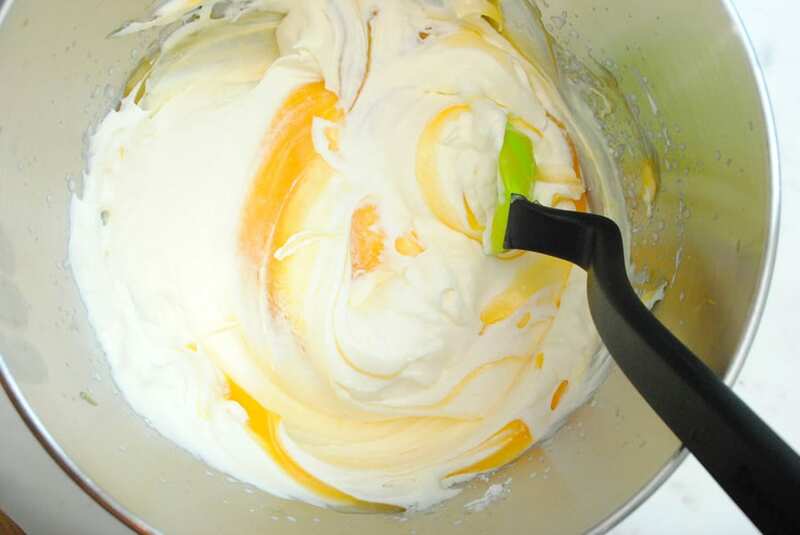 Beat the Heavy hipping cream in the bowl of a stand mixer of with a hand held mixer until it is just starting to thicken. Add in the powdered sugar and continue to beat until it holds stiff peaks. Using a spatula, gently fold the lemon curd into the whipped cream. Continue to fold until it is all incorporated. Pour the mixture into the cooled crust. Top with the berries and any other garnished you want to add and then place in the fridge for at least 1 hour.